A key aspect of the brief was to create an identifiable building that subtlety weaves their branding and brand experience, into the overall architectural design. 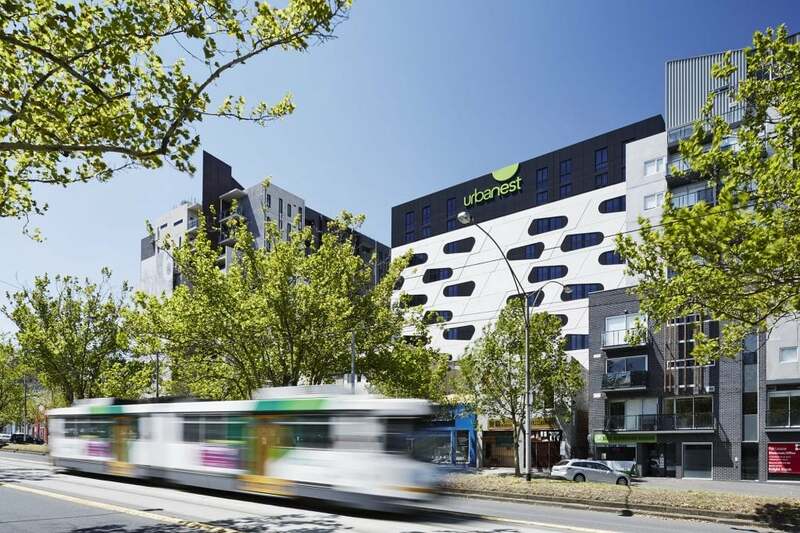 As a global brand with a strong reputation for its contemporary student accommodation, Urbanest commissioned DKO to design their first student housing project in Melbourne. A key aspect of the brief was to create an identifiable building that subtlety weaves their branding and brand experience, into the overall architectural design. The result is a building with a dynamic external façade, projecting a bold composition of light and dark materials, along with angular shapes and ovals. This graphic language carries through into the internal rooms, creating a visual connection between the external façade and the interior design of the public spaces. Detailing throughout is carefully considered, from the use of patterned Bolon flooring, to the joinery of the iMac zone desk and bench seating for students. The interior design also required a close collaboration with a lighting designer, to help highlight these features and to literally illuminate the relationship between the exterior and interior. Shared facilities are a strong feature of the building, from kitchenettes to bathrooms, and from study rooms to tv rooms. 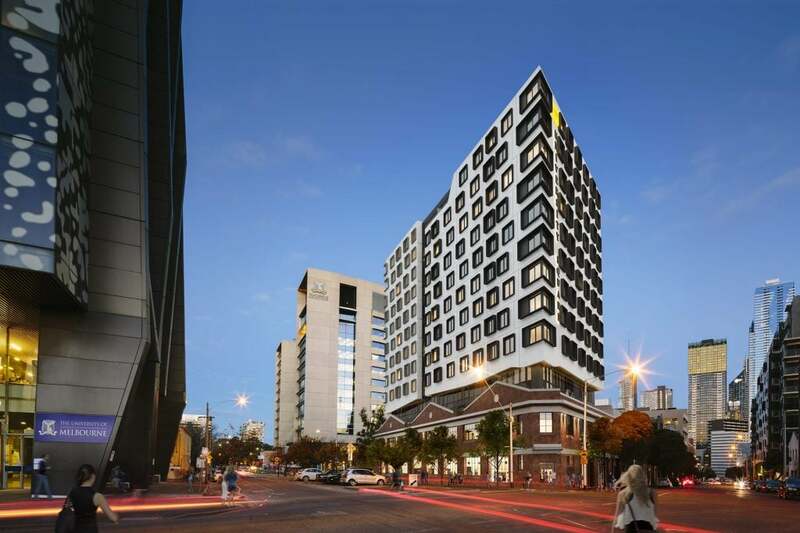 By creating communal spaces, where students can interact with one another, while using the facilities provided by Urbanest, limits the need for extra requirements in their rooms, and in turn helps this modern student housing project to save on energy.